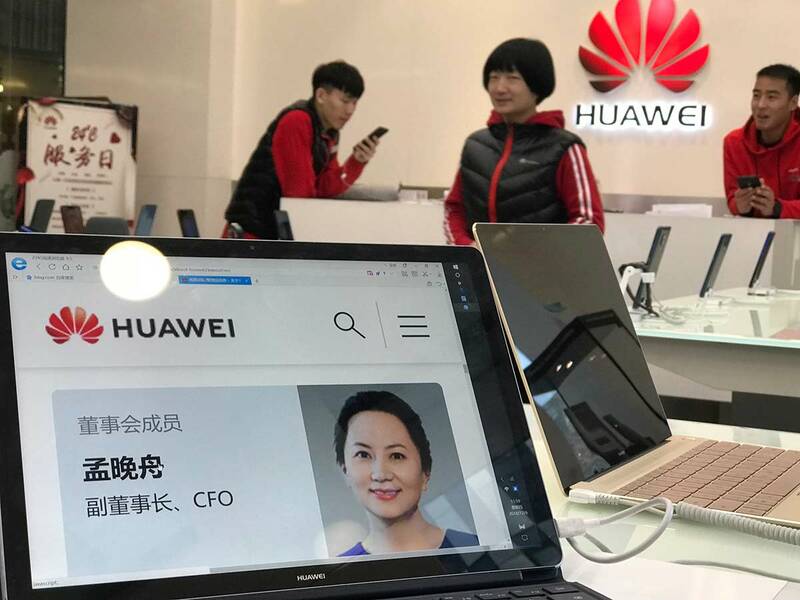 The detention of Meng Wanzhou comes after American authorities reportedly launched an investigation into suspected Iran sanctions violations by Huawei, which was already under scrutiny by US intelligence officials who deemed the company a national security threat. China has urged Canada and the United States to "clarify" the reason a senior Huawei executive had been detained in Vancouver. "We have made solemn representations to Canada and the US, demanding that both parties immediately clarify the reasons for the detention, and immediately release the detainee to protect the person's legal rights," foreign ministry spokesman Geng Shuang told a regular press briefing. News of her detention rippled through stock markets in Asia, particularly Shanghai and Hong Kong, with tech firms among the worst hit. By lunch Shanghai was 1.3 per cent lower while Hong Kong was 2.6 percent off. A month later, Washington and Beijing reached a deal that would strike ZTE from the sanctions list - just days after China reportedly offered to ramp up purchases of American goods to help cut the yawning trade imbalance with the US. American officials denied any connection between the two.